For people who have participated in a WOL Circle, a common question is, ”What comes next?” Many people want to keep going, so some join another Circle with new members. Others just continue to meet every so often, updating and supporting each other. Now there’s another option. It’s a new way to deepen the insights and practice you began developing in your WOL Circle, and it’s called WOL-SC. The “SC” in “WOL-SC” can stand for many things: “Self-Care,” “Self-Compassion,” “SuperCharge,” or whatever other label you can come up with that expresses a sense of investing in yourself and and developing important skills. In many ways, a WOL-SC Circle can be thought of as a prequel to a WOL Circle. Whereas Working Out Loud improves how you relate to others, WOL-SC helps you improve how you relate to yourself. The main ideas are not new. The WOL-SC Circle Guides are all based on ancient wisdom, much of it thousands of years old and increasingly supported by scientific research. My intended contribution is to make it easier for anyone to apply these fundamentally good practices till they become habits, so more people can realize the many well-documented benefits. How does it compare to a WOL Circle? 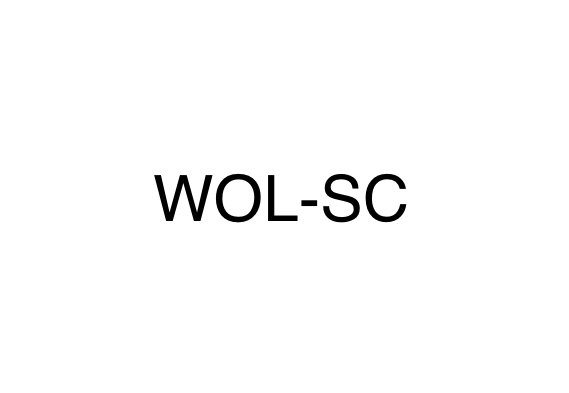 If you have already been in a WOL Circle, then certain aspects of WOL-SC will be familiar to you. You will meet as a group of four or five. It will be a psychologically safe, confidential space without judgment or competition. Your Circle can meet in person or via video across locations, and there will be guides with instructions on what to do in those meetings. Beyond that, there are several important differences. You will meet only once a month for six months. You will do daily exercises on your own each month, and your meetings will be for you to share what happened and to prepare for a different practice the next month. Also, unlike a WOL Circle, there is no goal or relationship list. The practices are largely focused on yourself. The only goals are to develop greater self-awareness and mindfulness. These are the keys to realizing more of your potential as well as a greater sense of fulfillment and happiness. The reason for the Circle meetings is that the structure, shared accountability, and support can help each person make progress. Also, reflecting on and exchanging experiences each month can advance your learning. Better for you. Better for your organization. The personal benefits of the five practices in WOL-SC have been thoroughly studied and documented, and the new Circle Guides include resources to help you explore further and learn more. But there are benefits for organizations, too. Companies clearly recognize the need to do more to help employees handle the strains of work and life. Every company I've met with, for example, has a Wellness at Work or Mindfulness program. And hundreds of companies are spreading Working Out Loud Circles, proving that they are willing to create a safe, confidential space for employees to develop themselves. What if we could build on that, and use Circles to enhance employees' focus, self-control, and stress management while helping them be kinder and happier? How many people would benefit if all those wellness programs had a new method that was easy to implement and spread? I’ve been toying with this idea for a few years. While staying in Japan this summer, I finally drafted a set of guides that are ready to test, but not yet ready to publish. For the first experiment, I’d like to form 3 Circles, comprised of people I don’t know well and all of whom have been in at least one WOL Circle. We will start in September. Circle #1 would meet in person in New York City, and I would be a member. So I would need four volunteers who live in or near NYC. Circle #2 would meet via video and would span timezones. I would be a member of this Circle too, so I would need four volunteers from different countries. Circle #3 would not include me. This will help me understand if the new guides are self-explanatory and what changes I may need to make. For this Circle, I would need five volunteers who would meet via video (unless five people in the same location volunteer as a group). If you would like to volunteer for the WOL-SC experiment, send me an email at john.stepper@workingoutloud.com and let me know if you have a preference for which Circle you’d like to join. This is version 1.0 of something that may take many iterations to get right, but I am committed to working on it and to making the guides available for free. I appreciate your interest and support.